New property law from the 1st of July that opens for foreigner and Vietkieu own property in Vietnam is expected to be a new power to enhance the heat of Vietnam real estate market. More than one month has passed since the new law formally been applied, there a question raise of whether the market will develop as expectation? Some big developer like Capitaland, Novaland, Phu My Hung, Phat Dat, …are ready to catch new wave of widening ownership law to Vietkieu and foreigner or changing from renting to owning apartment. However, from a statistics report about the real estate market, the volume of transaction relating to Vietkieu and foreigner still disproportionately low. 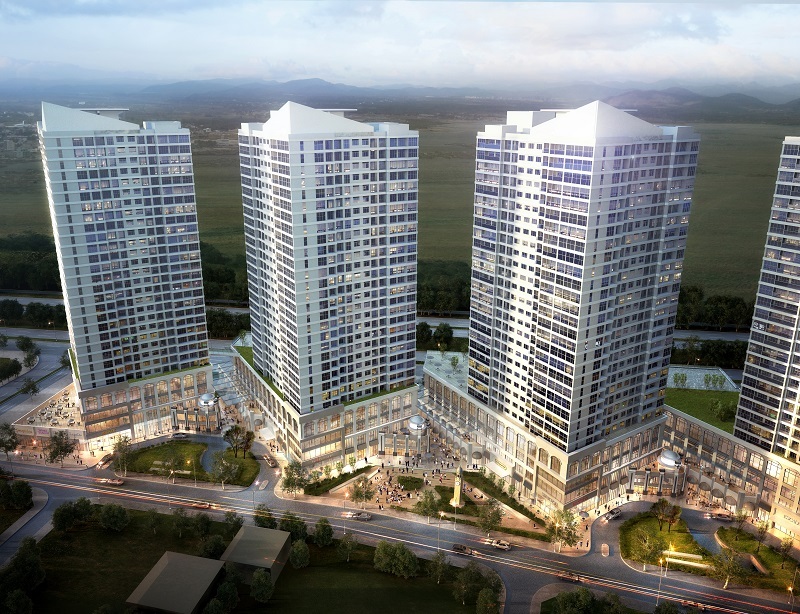 There are some apartment projects in Ho Chi Minh City that attract much attention from Vietkieu and foreigner can be listed as: Vinhomes Central Park (Binhthanh District), The Sun Avenue (District 2), The Krista (District 2), Sala Premium Residence (District 2), …, land in Binh Duong, New Central Park also attract many Taiwan, Chinese experts to come and observe. Among all these projects, Vinhomes Central Park is a rare project officially announced the number of 112 apartments purchased in 1st of July. They just sell it within 2 hours to foreigners. Another location Phu My Hung where many foreigner live and work has no significant number of purchase. The number or 100 transactions of foreigner from Novaland is also so small in compare with thousands apartment sold to Vietnamese a year. Mr. Hoang Anh Tuan, general director of Tac Dat Tac Vang company, said that the foreigner are careful to learn about projects. Besides the potential factor of increasing value of apartment, they pay special attention to the legal isle. Actual number from New Central Park project shows that over 80% land product was sold to Vietnamese while Vietkieu and foreigners are waiting for decrees and circulars guiding the implementation of the new Housing Law. Taking an overview of whole market, Mr. Phan Cong Chanh, chairman of Joint Investment and Advisory Phu Vinh, said that the market will hardly have the big surge of transaction by foreigners and Vietkieu. According to him, the new law may lead to the tendency of rename for the reason that Vietkieu own property in Vietnam for a long time ago on the name of their relatives. For foreigners who has a short-term working in Vietnam, the purchasing property will not be convenient that renting property. The transaction of selling is only possible with small group of people who work in long-term or get married to Vietnamese. In aspect of investment, Troy Griffiths, executive deputy director of Savills Vietnam, said that the new Housing Law will contribute to the competitiveness of the real estate market in region. According to surveying data of Savills, the leasing income in a number of cities and regions around the world shows that Vietnam is the place that bring to investors a higher profit than many other countries. From the provisions of the new Housing Law, foreigners are still waiting for the instruction paper. Mr. Le Hoang Chau, chairman of HCMC Real Estate Association, analyzed, sell the property for foreigners is like “local export”. This positive impact will contribute to stimulate the real estate market development. Therefore, the authorities should soon issues decrees, circular instruction to open potential demand.